Tucked away in the undulating Roussillon countryside, Clos des Fées is making waves in the world of French fine wines. 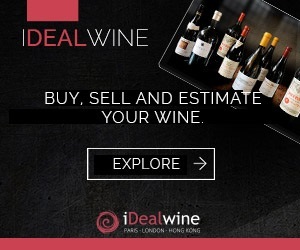 We cast our attention to the domain’s owner, Hervé Bizeul, a former sommelier and journalist – for the French speakers among you, he regularly updates the domain’s blog – who wields his pen as he does his grapes: with precision and accuracy. The results are staggering. Before settling down amid the vines, walls and soil of the Clos des Fées, Hervé Bizeul’s peregrinations had been many, flitting around the wine business and the world in general. As a sommelier, as a journalist… but most of all, as a son of this hard ground, with a real pride in Roussillon. It was one day in 1990, looking out onto this desert of scrubland, with its dry-stone walls and vines planted in pick-hacked holes amid the green oaks with their twisted branches, that he decided to take his passion for wine to its logical extreme by becoming a wine grower himself. 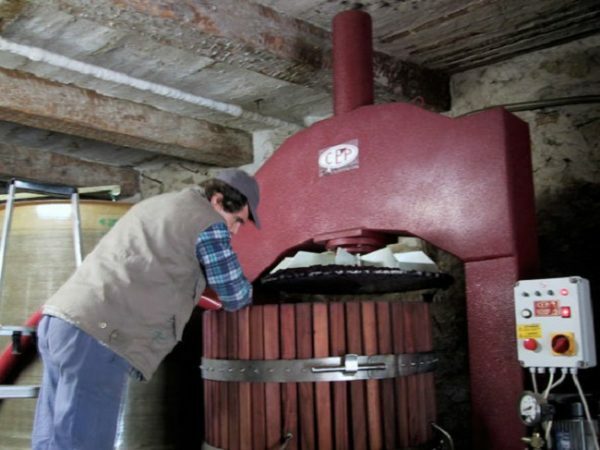 Thanks to his hard work in the vines – but also through his formidable enthusiasm for selling and promoting his wine with a talent for forging links that is somewhat uncommon among growers, who enjoy the solitary company of their vines and can be uneasy with commercial relationships – Bizeul would be quick to find success. “Why the Roussillon?”, some wine lovers may ask. 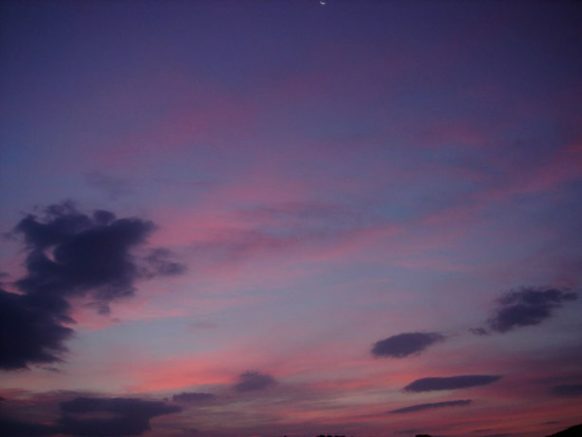 While it’s undoubtedly very beautiful, this region is known for its sometimes-harsh climate and poor soil. So much work for so few grapes! But Hervé Bizeul has learned to work with his surroundings. He is extremely free in his choice of varietals and grows Syrah, Cabernet Sauvignon, Cabernet Franc, Pinot Noir and Tempranillo. In the vineyard, the soils are tilled, and chemical products are banned; he uses some synthetic products when necessary but only infinitesimal amounts. In the winery, Hervé Bizeul’s philosophy is much the same as in the vineyard. He strives to allow the identity of the terroir to shine through in the wines. Where does his energy and creativity come from? It is clear that his career as sommelier and his passion for writing have led him to truly putting what he wants to achieve with his wine in words and taste. La Petite Sibérie is an example of his wines which people fight over in our auctions. Like the domain, its creation was somewhat by accident. In 2001, four years after Clos des Fées was created, Hervé Bizeul harvested the grapes from this small parcel last, only to find that he had no vats left in which to ferment the grapes! He proceeded to make the wine in plastic containers. Despite these conditions, the resulting wine showed unparalleled texture, complexity and length. A grand Grand Cru, some might say! In addition to this excellent cellaring wine, his range includes easy-drinking wines such as Les Sorcières, out-of-the-ordinary wines such as Images Dérisoires produced from Tempranillo, and Un Faune avec son fifre produced with Cabernet Franc. Restless, charismatic and brilliant, Hervé Bizeul has, since the 1990s, worked artisanally on the majestic limestone plateau of Vingrau in the Roussillon. […] Here we are not talking about caricatures of ‘new world’ wines, a trap that too many producers in the area have fallen into, but rather a quest for balance. A lesson learned from Géraud Gauby, one of Hervé Bizeul’s mentors. A must-try signature in Roussillon. The wines: the 2010 white is precise and generous, ripe and fleshy, with hints of pepper and pear. The Syrah De Battre mon Coeur s’est Arrêté has a good level of freshness due to the vintage, but with a toasted oakiness on the finish. The emblematic cuvée Les Sorcières 2010 is crunchy and peppery with good tension and balance. Vieilles Vignes is deeper and envelops the palate. Clos des Fée is dominated by smoky, vanilla notes which weigh it down. 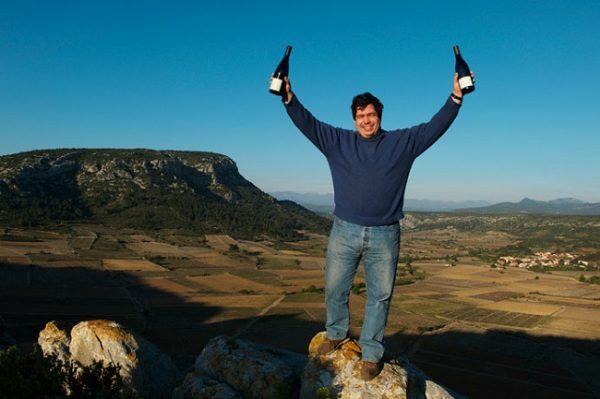 Hervé Bizeul no longer has anything to prove: this domain is well and truly part of the Roussillon elite. This hasn’t stopped him from always challenging himself, trying new ideas, and creating new cuvées. We’re betting that he won’t stop there. “Clos des Fées” is the domain’s finest cuvée: the most ambitious, the richest, the one which should be aged longest and opened on a special occasion! This cuvée is produced from a blend of old vines (between 70 and 100 years old) of Syrah, Grenache, Carignan and Mourvèdre. A mosaic of small parcels which are meticulously harvested (the grapes are transported in refrigerated vans! ), specialist vinification, some of which in demi-muids and the rest in stainless steel vats, followed by an élevage of 18 months in stainless steel vats. This exceptional wine will not leave you indifferent. A single 1.16 hectare plot is devoted to one of the property’s finest cuvées, the sublime, almost legendary « Petite Sibérie ». The old Grenache Noir vines grow in somewhat extreme conditions on a clay-limestone base, covered with schist with an exceptionally high iron content. The plot is exposed to an icy wind for more than 200 days of the year, hence its name, « Little Siberia ». The wine is topped up regularly with a blend of Mourvèdre and Syrah, and then bottled without filtration. A superb, dense, complex wines that needs at least 15 years to reveal its potential. This cuvée from Clos des Fées is poetically labelled « Un faune avec son fifre sous les oliviers sauvages” (faun with fife under the wild olive trees). It is produced predominantly from massal-selection Cabernet Franc. The nose offers up aromas of ripe red fruits, red pepper and some delicate hints of spice, while the flavours of dark fruits and liquorice dominate on the deliciously powerful but balanced palate. This excellent wine pairs very well with Mediterranean style meat dishes. « Vieilles Vignes » is without doubt the property’s most representative wine, which gives an indication of the potential of Vingrau’s terroir, and of the winegrower working it. If you want to know what the two together are capable of, this should be your first choice. It consists of a blend of the property’s oldest vines (from 50 to 100 years old), mainly planted on fine clay-limestone hillsides. 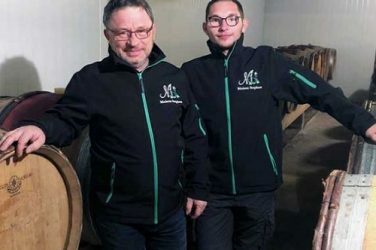 The wine is aged in barrels that have held one, two or three wines for 60% of the total volume, and the rest in concrete vats. “Images dérisoires” is a rare, unusual, terribly charming wine. It is the product of Hervé Bizeul’s desire to do something new. In 2005, therefore, he planted a selection of Tinto fino (the local name for Rioja’s emblematic grape variety) sourced from a excellent terroir in Ribeira del Duero (the region of Vega Sicilia, the mythical Spanish wine). The juice from these young wines – the first vintage of which is 2010 – is blended with old Carignan planted shortly after WW2 at a relatively high altitude of 450m. It is completed with a suggestion of Syrah. A totally original blend, but whose Franco-Spanish origins pair perfectly with this arid, mineral Roussillon terroir. Les Sorcières is a wonderfully voluptuous, easy-to-drink wine, made from a selection of old vines (80 year-old Grenache and Carignan) and blended with young Syrah and Mourvèdre. The soil is mainly clay-limestone with a few plots of black schist. Altitudes of between 200 and 350 metres. Hervé Bizeul’s objective with this wine is to obtain maximum fruit while preserving freshness with slow, medium extraction. The wine is aged in concrete and stainless steel vats. This cuvée is aged over fine lees for six months to allow it to develop its aromas and flavour. It has a powerful bouquet with fresh fruit and dried flower notes. The refined palate is fresh and fluid with delicious fruit present throughout. This wine is ideal as an aperitif or as an accompaniment to cured meats or simple grilled meats. Natural wines are something of a rarity in Côte-Rôtie. Those of Jean-Michel Stephan astounded us with their purity and sublime freshness. 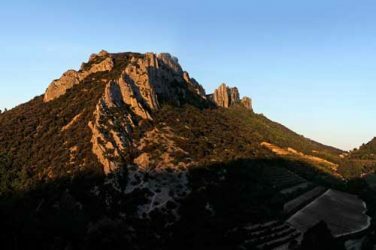 Nestled in the heart of the Dentelles de Montmirail lies Domaine la Bouïssière, a jewel in the crown of Gigondas. We learn more about this family domain. 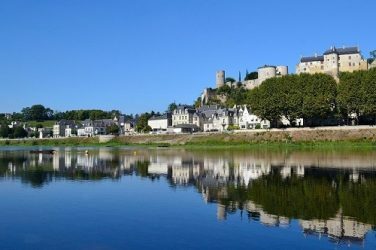 The wines from the discrete, talented Philippe Alliet are among the finest in Chinon. We take a closer look at this outstanding domain.